The club's strong performances continue! 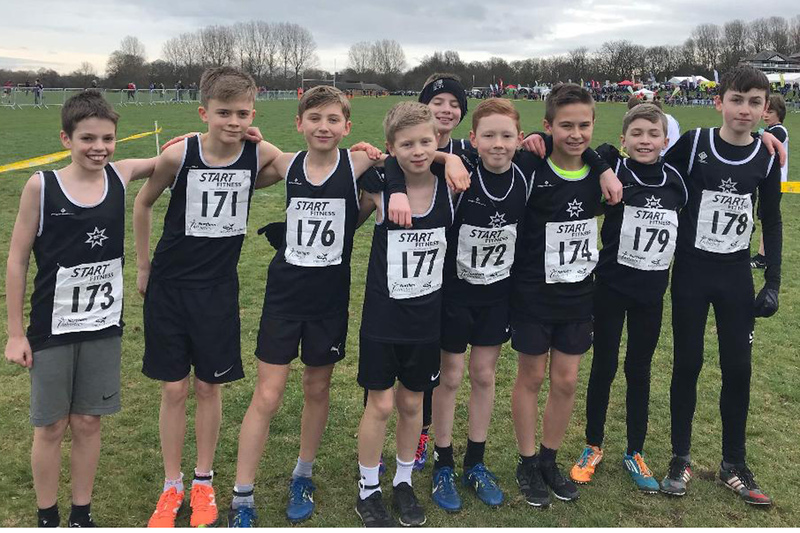 A total of 58 athletes competed in the Northern 2019 championships, with another set of excellent team performances - we had 6 complete teams and the lowest team position was seventh - giving another indication of the club's strength across the age groups. Two teams won silver medals - the u13 girls team and the senior women's team. The individual performances were also impressive, we had 10 athletes inside the first 20 places, with 5 of those inside the first 10, and two inside the first 5. Mollie Platts made her cross country debut, after an absence from racing due to injury, to finish in 4th place in the U17 girls race and lead the scoring team home to a sixth place. Joe Massingham also finished 4th in the junior men's race, Olivia Bell was 8th in the U13 girls race, Joshua Wragg was 9th in the U15 boys race and Nicola devine was 10th in the senior women's race. With 4 athletes needed for the team score in most races (3 in the junior age category and 6 in the senior men category) The U13 girls team - with an unprecedented 15 athletes packing really well - had a total team score of 103 points. Middlesborough were the team winners with 70 points, and Stockport 3rd with 129. We had no U15 girls team , but Hayley Butcher continued her good run of performances with a 16th place. The U15 boys team and the U17 women's team were 6th. Yorkshire champion Cyane Robinson would have been looking forward to a high finishing position but unfortunately had to pull out with a calf strain. The final races of the day, the two senior races, were packed with talented athletes. The womens race had 5 GB internationals setting a very fast pace from the start. It was clear from an early stage that Leeds City AC's team would take some beating, but the Rotherham athletes were well placed, and not far behind them. Leeds had all 4 scoers in in the first 12 places, with Rotherham's scoring quartet all in in the first 30. Nicola Devine (10th) was followed by Lori Handbury in 13th, and Natasha Hatswell in 15th, and Jenny Blizard in 29th. Excellent Back up was provided by Samantha Hughes (33rd) Sophie Cowper(47th) and Keri Pearson (53rd). With 500m to go Scottish International Mhairi Maclennan (Morpeth Harriers) and GB international Lauren Heyes (nee Howarth) were together but the Morpeth athlete put in one last effort to clinch victory and to retain the individual title she won last year at Harewood. Three of the clubs athletes: Nicola Devine, Lori Handbury & Natasha Hatswell, were subsequently selected for the North of England team to compete in Rotselaar, Belgium on the 11th of February. 1st Martha Jackson, Bingley Harriers 10:39. Olivia Bell 8th 10:55, Amelia Topliss 15th 11:03, Marci Walsh 31st 11:20, Evie Thomson 49th 11:35, Mischa Walsh 55th 11:40, Miya Lambert 60th 11:45, Amelia Longden 88th 12:04, Cadence Taylor 99th 12:09, Katie Battle 102nd 12:12, Emily Bott 105th 12:13, Keira Branagan 106th 12:14, Annaliese Catley 132 12:31, Harper Tompkin 194 13:47, Ruby Willers 198 13:50, Elise Bell 199 13:58. Team 2nd 103 points; 1st Middlesborough 70 pts. Luke Parker 16th 10:20, George Browne 35th 10:44, Thomas Bowman 65th 11:04, Luke Stables 73rd 11:09, Reece Levitt 82nd 11:14, Owen Haffner 95th 11:22, George Ellis 123rd 11:43 Jack Williams 156 12:09, Harry Stroughair 196 13:22. Team 6th 189 points 1st Sale Harriers 124 pts. 1st Holly Weedall, Vale Royal AC 13:29. Hayley Butcher 16th 14:39, Romany Tune 134 16:37. Alex Brand 148 15:03. Team 6th 269 points 1st Richmond & Zetland 149 pts. 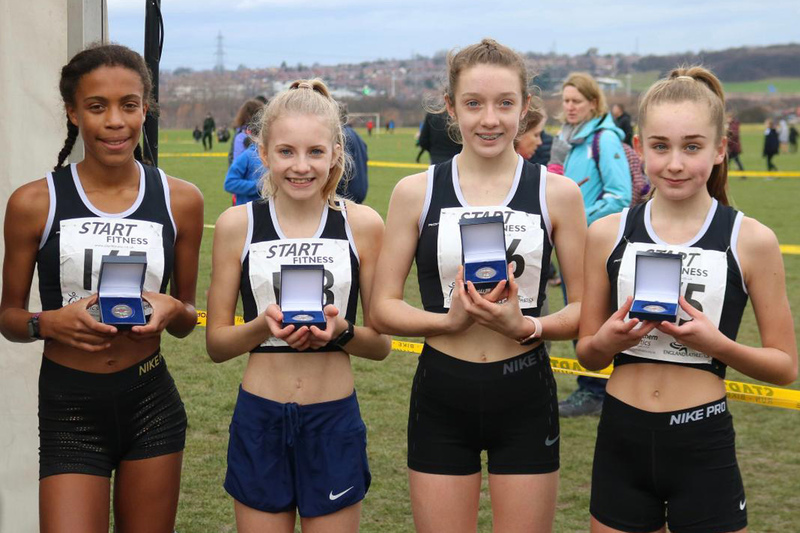 Mollie Platts 4th 18:11, Bethany Mount 49th 20:27, Emily Holden 55th 20:39, Charli Frisby 99th 23:44. team 6th 207 points (1st Yorkshire club) 1st team Salford Harriers 105 points. Joe Massingham 4th 26:16, Jack Stokes 36th 29:08. 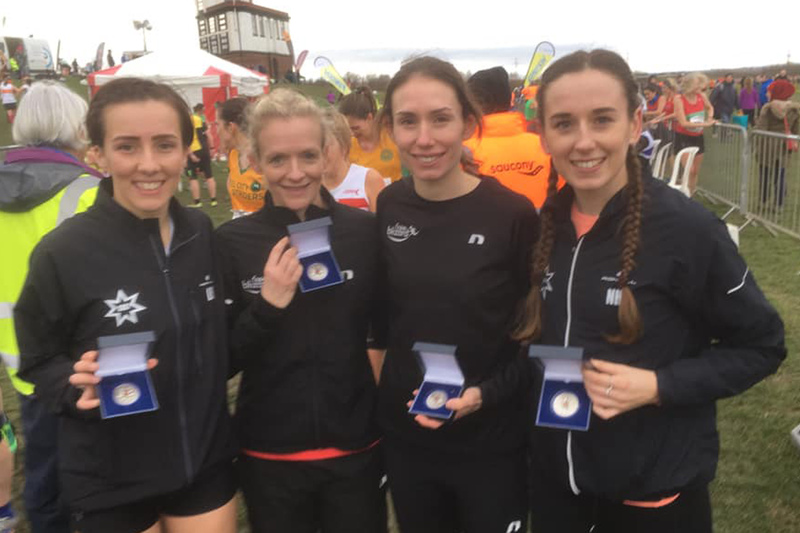 Nicola Devine 10th 29:11, Lori Handbury 13th 29:34, Natasha Hatswell 15th 29:50, jenny Blizard 29th 30:43, Samantha Hughes 33rd 31:01, Sophie Cowper 47th 31:51, Keri Pearson 53rd 32:10, Georgina Weston 353 49:31. Team 2nd 67 points 1st leeds city 31 points, 3rd Morpeth 125. Lee Milburn 38th 40:49, Jon Johnson 56th 41:29, Arron Larkin 69th 42:02, Gareth Sampson 86th 42:26, Aidan Johnson 92nd 42:37, Philip Hoole 142 44:19, Steve Dawson 284 48:06, John Comrie 492 53:30, James gallacher 597 57:56. Team 7th (2nd Yorkshire club). 1st Sale harriers 119 pts.